Volunteering is truly a rewarding experience – one where you can really make a difference in the life of an animal…Just ask anyone that volunteers! Last Hope is looking for volunteers, 18 years or older, to help with our dog and cat care programs, fostering, pet transport, and assist at pet adoption days. Do you love animals but suffer from allergies? You can still make a difference and volunteer because we need help in other areas such as grant writing, supply drives, fundraising, and event planning too! 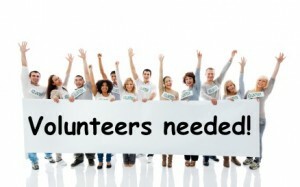 If you are younger than 18, you can still volunteer but MUST be accompanied by a parent or guardian during your shift. Our Cat Care Program includes feeding, cleaning cages, socializing (fancy word for cuddles & love) and showing cats to those interested in adopting them. Our Dog Care Program includes dog walking, cleaning cages, and showing dogs to those interested in adopting them as well as attending pet adoption days in the area. Fundraising & Event Planning includes many facets from contacting sponsors, attendee management, marketing, soliciting for auction items, gift wrapping, creating signage, set-up/break-down just to name a few. Supply Drives are perfect for those individuals under 18 – Girl Scouts, Boy Scouts, school organizations, etc. We are always in need of items from our WISH LIST so check it out and start a drive today! Each program will provide a volunteer orientation and tour of our facility. This will provide you with the tools necessary to learn about our volunteer programs, and the commitment involved in each area. Parents of volunteers under 18 are required to join their children for orientation, so they will have knowledge of their duties and be able to co-sign their application. Parents or guardians MUST also accompany those volunteers under 18 during their shifts as well.